As your agency, it’s our responsibility to deliver our absolute best, everyday. As people, we feel the same sense of responsibility, to help lift up those in our society who face more challenges than most. 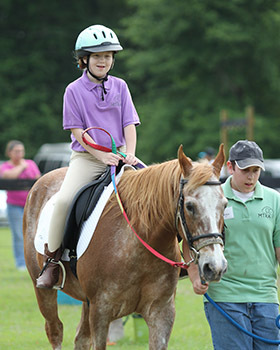 That’s why we’re proud to support the Marion Therapeutic Riding Association Inc. 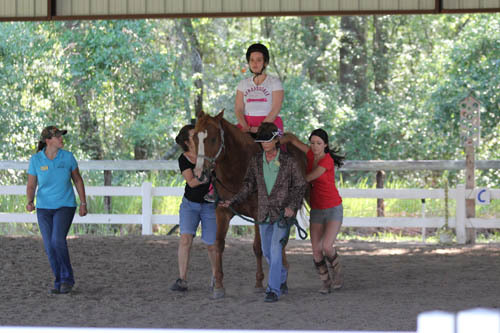 Located in Ocala, Florida, MTRA is a group of professional PATH certified instructors, a small staff and many tireless volunteers dedicated to improving the abilities of physically and mentally challenged people of all ages through therapeutic horsemanship. Masterworks President Tami Johnson was proud to serve as the President of the Board of Directors for MTRA for almost four years, and is now a board member. The agency regularly contributes a significant portion of its time and talent to this worthy cause. If you’d like to know more about this fantastic program–and see some of the happiest riders on earth– click here to learn more. Veterinary Care Foundation <– The first of it’s kind, this organization allows veterinary practices to set up their own 501(c)3 funds and donates 100% of all contributions back to the practices in the form of grants to help with the veterinarian’s charitable work. Soccer Dogs <– A start up organization trying to connect the soccer world with the dog world, in hopes of saving ball-motivated dogs in shelters and rescues. Animal Aid Unlimited <– This organization is doing incredible work in a country that has many challenges, India. If you are looking for an animal related cause outside of the United States, please consider helping them. Morgan Safenet <– Saving Morgan horses from coast to coast. Forever Morgans <– Rescue, rehome, rehabilitation to Morgan horses.